I agonized over my cake topper -- It had to be personable, cute, and stylish but not too cheesy. I wish I would have discovered this shop back then! These custom toppers are handmade with clay and even though they're a bit pricey ($150+), they definitely make for a spectacular keepsake! Shop this cake topper and others over at Clayphory on Etsy. Have you considered purchasing a custom cake topper? See some of my other favorite wedding trends! I'm a stickler for bridesmaids matching on the morning of a friend's wedding but let's face it, the robe shot is a little overdone! I love this idea of having your bridesmaids each wear a custom baseball tee instead, sporting their name and the number of years they've known you on the back! 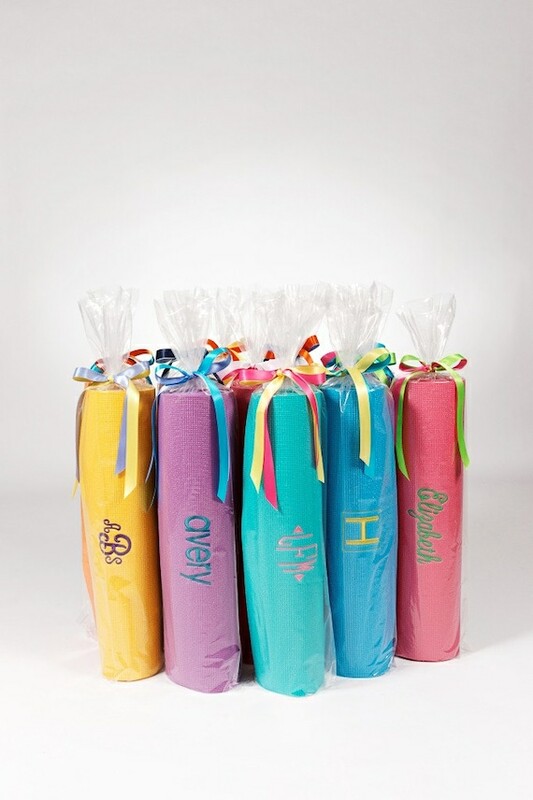 With a choice of ten different sleeve colors you can make sure these match your wedding colors, too! Image via Lulu Bean Design Co. on Etsy where you can shop these t-shirts. Image via Woody and Pearl Photography It's been awhile since I shared a wedding detail I'm loving, so here's one: bridesmaid knee socks + a wedding day 5k! 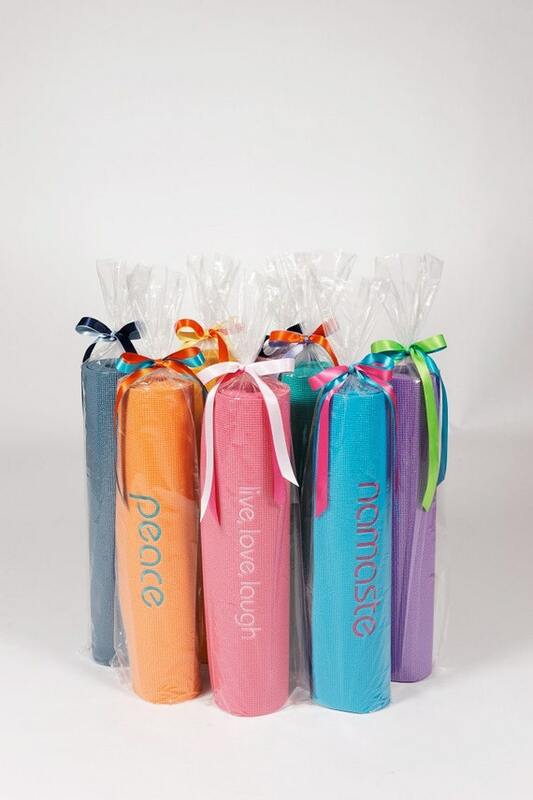 These bridesmaid knee socks (similar) were gifted to each of the bride's besties and they all wore them the morning of the wedding for a bridal party 5k! When I look back, I wish I would have taken some time for a little active stress release on the morning of our wedding -- what better way than to do something that involves the entire bridal party and gets the endorphins flowing? See the rest of this runner's wedding here. Earlier today I shared what to do if you don't fit in sample sizes, listing all sorts of ways to avoid embarrassment and stay carefree, but, there's an easier way for those of you in Northern Virginia- just go to Curvy Girls Bridal! Curvy Girls is a premier plus-size bridal boutique in the Washington, DC area, specializing in large-size bridal gowns and plus-size wedding gowns (sizes 12-32)! Don't let the words "plus size" scare you away. Curvy Girls believes that regardless of size, brides should have access to the best gowns designers offer. They're a full-service bridal (and tuxedo!) shop featuring gowns guaranteed to fit and flatter all sizes. They specialize in Curvy Couture, Pronovias, Manuel Mota, Allure, La Sposa, Anaïsi, Anjolique and Forever Yours. I had the privilege of sitting down with Ruth, the owner and she told me the story behind this revolutionary shop. About 20 years I was looking for something to do, the kids were little, and I wanted to get out of the house and do something different. I happened upon a bridal shop. I've always loved fashion and loved bridal. I handed in my application and started there- that was 20 years ago! I worked there about 6-8 years but ultimately ended up working for Northrop Grumman for a long time.That's where we made money to be able to do this. I finally decided I didn't want that grind of that corporate world anymore and knew I'd always go back to bridal. I talked with my husband and said "What do you think?" He said, "if you have a passion for it and you think this is the time, then let's just do it." I had always kept my hand in it. Every time I'd have a bad day at work, I'd come home and see who's bridal shop was for sale! I had kept my hand in it and looked to see what was happening- what really dismayed me was that David's Bridal mentality. I watched that gain momentum over the years, and I thought that's not a bridal experience! That's going and getting a gown and being done because you need something white to wear! I asked myself, "What am I going to do that's different? Unique? Where's my place in the bridal industry? Ok, I know how hard is it to shop. Maybe what we need to do is look at the women that don't have a voice; women that have to settle; that are so used to settling. We started calling around, "Do you have size 18 in stock? Size 20?" How many do you carry? What brands do you carry. The answer was no-no-no-no all the way around. I said that's it! This is where we need to be. We need to start here! That is basically why I opened it up- there was the need." There's hardly any other shops like this in the world! What kind of research did you do to prepare to open? We did the secret shopper thing as opposed to calling bridal shops and saying who we were. I had my niece play the part of the bride and we went into bridal shops to experience first-hand how we were treated, what they sold. We had to do it that way because otherwise we wouldn't get an honest feel for what was happening around us. I knew there was no other way to get an honest opinion- answers to my questions. What makes the Curvy Girls Bridal experience unique? We are here to serve women that have not been catered too. As plus size women, we get the little corner in the top floor or basement. The buyers don't have a clue what to put on bigger women. We're really, really conscious of that. Our girls our trained to dress the curves. You don't find that other places. In fact, we're all about the curves, and we warn women when they come in - don't think you're going to hide! We're going to show you what you actually can look like! And they're excited. When they come out, and they have that smile on their face-- that is why we're here. Even a size 20 girl, we'll put her in a fit and flare and show off her hour-glass figure. She'll just stand and look in the mirror and say, "Oh my god!" Because most of the time, they come in in oversized shirts and baggy pants. They don't show their figures for the most part. There are some that embrace their curves. Others, not so much. How do you chose the dresses you have in stock? Every dress we have is chosen by me. Just because it's on the best sellers list for our sales. I look very carefully at necklines- ruching and a-symmetrical lines. We have everything from sheer tops and ball gowns to the latest styles. We have every single silhouette and fabric you can think of. We do that for a reason... so that the girls have a chance to experience that would not otherwise get to! Girls come in and the dresses zip; they close behind them. I have had so many girls in tears. They just step up on that pedestal and lose it completely. They don't want to get down, because they've never seen themselves look so beautiful. My dress was ordered three times too big. How does sizing work? Do you advise the bride on what size to order? Every manufacture has their own size chart; nothing is custom made. We take measurements and get as close to the chart size as possible. We try to keep our alterations to a minimum. Obviously, there are going to be little tweaks here in there (hem, bustle) but our seamstresses are independent contractors; we don't have any on staff. So we'll make a size recommendation and then it's up to the bride to decide what they're going to do. One thing I loved about the store is the curvy detail in the architecture. Congratulations on the exceptional design award from Fairfax County! You literally curve around a corner when you walk in; was that purposeful? We have the dresses displayed the way we do because we want brides to touch and feel them. We want them to experience everything and we do that for the senses. Tell me about the Curvy Girls philosophy; about your gowns and why you've chosen to spearhead this movement. "We figure that it's always easier to pull in on a little girl and give her at least the look (an idea of what that gown is going to look like), but you can't do it the other way around. That is why our sample sizes start at a size 12 which is like street size 8-10. Also, what we carry here are the same manufacturers you see in the bridal magazines, but in sizes that fit! They all make them. It's just that nobody wants to carry them! Are there certain dresses that work for certain body types? I wrote an article for one of the bridal magazines about this- we're so used to being "typed by our body type" so if you look like an apple you you're supposed to wear this. It doesn't work that way! That is all such myth! Our bodies are so unique, they need to be dressed on an individual basis, not grouped into a well, you're close to looking like a this or that, so this is what I'm going to put on you! And of course the fallback for larger girls is a-line. Let's just throw an a-line on you because that hides everything! I tell my brides all the time: you don't chose the dress, it choses you. You put that dress on and there's something that you feel as the bride, as you feel inside. I had one girl in here that was a size 12-14. She had been to another bridal shop in the area, but she didn't tell us at the time, but you could tell she wasn't happy. We asked her, "So, what do you looking for? What's your style? What do you feel comfortable in when you dress up, that sort of thing." She said, "Well, I really thought that I wanted fit and flare, but you know... "
Now she's a little size 12-14 BRIDAL, which means she's tiny... So sure, we pulled out a bunch of dresses and brought her to a dressing room. The first one she came out in, she stood on the pedestal and started to cry! We were worried, wondering what we did? She said, "No, you don't understand. I was just at a bridal shop, I told them what I wanted, much like I just told you, and the sales lady pointed her finger at my body and said "THAT doesn't belong in a fit and flare. That belongs in a ball gown or something that hides you! You don't want ot show that off." Are you kidding me? How sad! And this girl looked phenomenal!! Absolutely remarkable! That's pretty upsetting, but I remember feeling similar in some shops. What else will you do to accommodate a bride's wishes? We've done some really unique things. We had one girl who really loved the top of one dress and the bottom of another dress, and we actually ended up putting them together and it turned out gorgeous! She was thrilled. We can do all those things- add sleeves, add straps, or do whatever. How much time should brides allot for an appointment? Because I know, after reading this post, they'll be running to Curvy Girls! It's an hour and a half appointment. Obviously we want to know a couple of things: when are they getting married; what time of year? No satin ball gowns for the beach! How big is the wedding going to be? Outside? Inside? We know it's a stressful time and we try to take some of the stress away. Thank you so much, Ruth! I truly, truly enjoyed meeting you and I believe in your cause! I know there's a lot more about Curvy Girls that we didn't cover. For brides interested in learning more, check out Curvy Girls Bridal website: http://www.curvygirlsbridal.com. Give them a call: (703) 539-8777, or better yet, go shopping for your gown! They're located on Fair Ridge Drive in Fairfax, VA.
Where are you shopping for your wedding gown? Are sample sizes a concern for you? First, join the club! Sample sizes are SMALL! A regular size 14 is a sample size 8! Gah! Second, don't freak out. You're not alone. The average American girl is a size 16, which means, yep, most women don't fit sample sizes! Nevertheless, it's easy to get frustrated. If there's one thing I remember from my wedding dress shopping experience, it was the frustration I felt walking into a bridal salon and only having a handful of gowns (if that!) to try on because all of them were too small. Then, when I did muster up the confidence to try on those handful, I couldn't tell what the dress would look like in my actual size. This photo is a reminder of that-- I was at the bridal shop where my stepmom bought her wedding gown. We went together, made a day of it, and it was supposed to be a happy time... After all, wedding dress shopping should be fun, right? But then there was the realization that this store didn't have a large selection, and there were only 2 (maybe 3) gowns that would fit my size 10/12 frame. I was embarrassed, but I pressed on, mostly for my stepmom, she had fond memories of the place. But then there I was- in a tiny dressing room... with a tiny dress... alone. I tried to pull the expensive gown over my head, step into it, something, but it didn't feel right; it didn't fit. There's no mirrors in the room... you have to come out. It was a real WTF moment. I got over it, tried to make the most of the situation, and stepped out. My stepmom was teary eyed immediately! She loved the dress. The bridal associate quickly pulled out all the bells and whistles- the fake bouquet and the veil. Ta da! Nobody said anything about the fact that it wasn't zipped. Really? In the end, I didn't get this gown, and in fact, I tried on a dozen or more others, but the experience stuck with me; it's part of the reason I was inspired to start this blog. Go with an open mind: Know that sample sizes are small. It's not you, it's the dress. If it doesn't fit, don't fret: There's all sorts of contraptions to pull and tuck a gown that's too small to give you a vision for what you're dress will look like. Not only that, but, before it's all said and done, alterations will ensure your dress fits perfectly on your wedding day. Listen your sales associate: The sales associates are used to this sort of thing (read: you're not alone! They've seen it before)! Listen if they suggest certain gowns or, if on the contrary, they discourage trying on a dress that they know is too small. However, don't be bullied: Sales associates are trying to make a sale and in my experience, the pressure to buy is intense. Let your sales associate know if you're just looking and don't plan to buy anything that day. Also let them know if you're not comfortable coming out of the dressing room (for all the world to see!) or trying on a certain dress they've suggested. Along those same lines, don't be easily offended:The thing about those sales associates/shop owners is that can sometimes be brutally honest! You'll read more about this in a post later today, but head's up: if you don't have a thick skin for, say, suggestions for your body type, etc., let the associate know you'd prefer to pick out your own styles. Bring someone who knows you well and who puts you at ease: It's not always a good idea to bring your entire posse. If a dress doesn't fit (or none of them do), you may be really uncomfortable if there's a large audience. Bring your closest girl pals or your mom; people who know you and who you're comfortable around. People that build you up! Do your research and call around first: Bridal shops can be intimidating places. It's never a bad idea to call ahead first and describe yourself and your vision, and ask questions. I went to a million bridal shops in this area, and trust me: not everyone is nice. Not all the shops were nice, either; some were run-down and old. Search the Weddingbee boards and Google places before you go to them. I guarantee it will make for a happier experience! Remember, this is about YOU!For a lot of us, this is a once-in-a-lifetime experience. Try to enjoy yourself! Make a day of it and have fun! Let your hair down and try not to worry too much! If a dress doesn't fit, it wasn't meant to be! There's others! Speaking of others, the last and most important thing you have to do if you're worried about sample sizes is ditch the above suggestions and head to Curvy Girls Bridal!You'll have to come back later today for this one, but, I promise it will be a big sigh of relief for area brides. There's a shop right here in DC going against the grain, carrying sample sizes 12-32! Curvy Girl Bridal is a unique bridal shop offering gowns from top designers in sizes 12-32! They've won numerous awards from The Knot to Wedding Wire to Washingtonian’s Bride & Groom Magazine, and it’s no wonder. I had the privilege of interviewing the owner, Ruth. Check back later today for that post :-) You won't want to miss this! Are you worried about sample sizes? For the newlyweds, do you have any experiences with this? I'm really loving all the wedding goodness on the blog today! Why can't I let this industry go? Are you married, like me, and still into weddings? If so, you'll appreciate this collection of gorgeous blush bridesmaid gowns. Of course, there's not much I'd change about our wedding day if I go back, but, one thing I would consider is switching out my girl's green dresses for a shade of blush! I'm totally in love with this color, this look and and the soft, feminine touch it brings to wedding day photos. Weddingchicks- I am SO in love with this image! Do you love this color? Would you consider it for your bridesmaids? In the meantime, I wanted to share a little of my knowledge of this area-- I'm born and raised in Arlington, VA, which is right next door to DC. Here is my top 10 picks for DC-area photos. I LOVE LOVE LOVE all these spots and whether you decide to do engagement or wedding photos at them, I guarantee you won't be disappointed! 1. The Tidal Basin & Hains Point during the National Cherry Blossom Festival- The Cherry Blossoms NEVER disappoint. They're feminine and fluffy and the gorgeous backdrop for weddings! These photos were actually taken a few days after the festival along Hains Point, where some of the blossoms bloom a little later than those on the Tidal Basin. It's a nice option to get away from the big crowds during the festival, but still get to capture the beauty of these blooms. How gorgeous is my friend Karlye in this blush gown? 2. Ronald Reagan or Dulles Airport-- You might be thinking, "the airport?" Take one look at these photos and think again! This is my husband's cousin, Tori and tell me these aren't the most awesome engagement photos EVER? The coolest part? Her hubby is a pilot :) I'm not sure if that gave them VIP access at the airport or not, but for pics like this, it's worth a try, huh? It's truly a one-of-a-kind place, both historic and impeccably kept. 4. Agricultural History Farm Park- If you're not into fancy, you're in luck. Virginia, with it's sweeping hilltop and mountain views, is just a hop, skip, and jump away from the city. This lovely venue is only 20 minutes away and it's the perfect fit for a laid back couple who want to embrace nature and all it's beauty. 5. Around the Mall // The Historic Monuments-- This one is sorta obvious! A lot of couples love to take photos around the mall and in front of the oversized memorials. We didn't do this (we're from the area and have seen them a million times), but I totally get why this is a popular choice for photo ops! My personal favorites are the DC World War II Memorial and Monument. 6. Daughters of the American Revolution Building is also a gorgeous, historic place to take photos (or have your wedding)! DC really is unique in the history that is here. Why not take advantage of that if you're in the area? 7. The Gaylord National Resort & Convention Center- I used to work at the Gaylord way back when it first opened and let me tell you: it's absolutely stunning!!! The whole front part of the building is glass and it overlooks the water and Woodrow Wilson bridge. There really is no place like it in the area. We had our rehearsal dinner across the street from the Gaylord at McCormick & Schmick's and most of our guests stayed overnight at the Harbor. They STILL rave about how gorgeous the area is! You can't go wrong here! 8. Georgetown Cupcake- My husband is a Georgetown student, so I have to represent here! Georgetown is a bustling little historic town with beautiful shops and charming restaurants, and of course, the landmark stop-- Georgetown Cupcake! I love this photo because the bride's dress is playful and fun, and so are these wedding photos! 9. Washington DC Mormon Temple- I see this template riding down the beltway all the time. It's STUNNING. I did some research and also found out it's the tallest U.S. temple! It's also encased in marble? If you're looking for the "wow factor," this is the spot to go. 10. The National Museum of African American History & Culture- This venue doesn't exist yet, but I'm giving you a head's up-- it's going to be THE place for photos. Trust me! The new National Museum of African American History & Culture is going to sit the closest to the monument, giving you the best of both worlds. There was fierce competition over the architectual design as well, but ultimately, the winning concept is going to be ultra modern, sleek, and will have a light-filtering bronze glow. Sounds dreamy, huh? I cannot wait for it to be finished in 2015! There's tons of other gorgeous places around DC. I'm sure I'll post about this again with other options. In the meantime, did I miss any spots? Are you a DC-area bride? Where do you plan to take engagement and wedding day photos?